Bottom row (l-r): Sandy Ruff, Lisa Burnett Hendrix, Galen Johnston; second row: Celeste “Clete” Boykin, Sheri Richardson Lazenby, Lorenda Dasher, Ellen Hurst Griffith; third row: Roseann Stone Helms, Karen Newell, Robin Graham Mouzon, Rhonda Aull Hyde; fourth row: Denise Wooten, Lynn Jolly Sewell, Marie Tewkesbury; back row: Vicky Taylor Culbertson, Sue Stewart Fleming, Malcolm McClure (honorary Benet Babe). In 1975, a group of freshman women found themselves living in Benet Hall and began a lifelong journey of friendship and family. 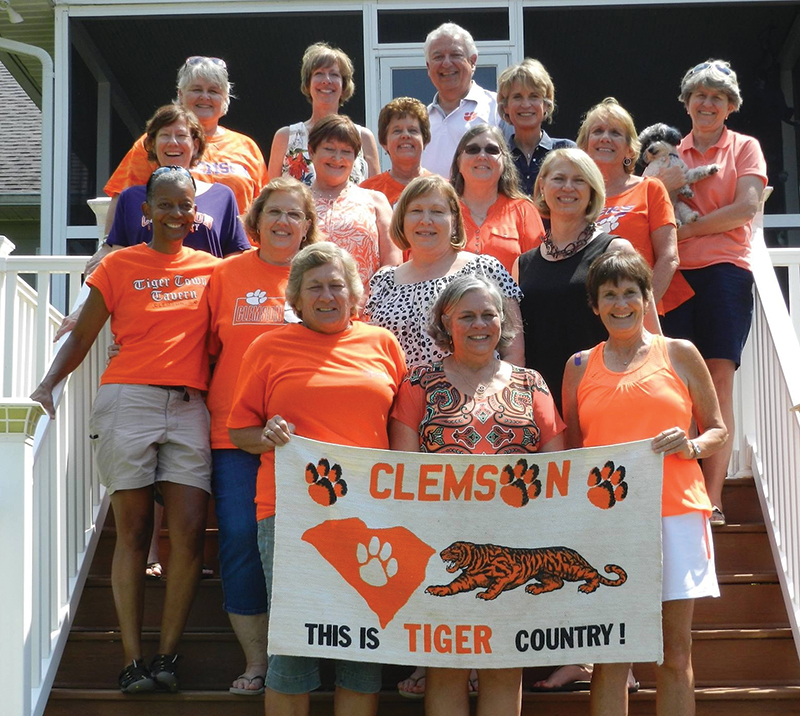 It’s a group that perfectly represents what alumni mean when they talk about the Clemson family. Every year, the Benet Babes get together to renew their friendship and catch up with each others’ lives. “In 1975, we came from different towns, states and backgrounds, to receive a quality education at Clemson University. As fate would have it, we were assigned rooms in Benet Hall and so began our lifelong friendships. As the years passed, we began to get together on an annual basis and reminisce about how fortunate we were to meet one another at Clemson.